Former Lourdes Hill College student Stephanie Unger has taken her life as a Christian singer-songwriter and educator to a new level, launching Pray, her first professionally recorded CD – an experience she says felt like “coming home”. 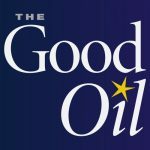 “It was the most incredible feeling watching the audience sing along to my songs and to cheer when I walked on stage,” 29-year-old Stephanie told The Good Oil. Stephanie, who has a Bachelor of Music and Bachelor of Education, is also a trained opera singer, but now sings mostly music theatre or pop. In 2010 she co-wrote with Phil Parkinson and Erin Kennedy a high school musical called FYI: Watch This Face, which has since been produced in several high schools in Brisbane. The following year she recorded a demo CD with Christian liturgical music suitable for high school, called In Your Presence, before launching out into the deep and recording Pray, her first professionally produced CD. When not writing, performing or recording music, Stephanie is a music teacher at Brisbane’s Our Lady’s College, Annerley, and is also currently undertaking a Masters in Creative Industries. “I have always loved music,” she said. “I love everything about it, how it can change my mood from happy to sad, bored to motivated, how it always feels like I’m praying when I sing, no matter the words. Stephanie’s love of music goes right back to her youth, and she fondly recalls the inspiration she found at Lourdes Hill College, a Good Samaritan school in Brisbane. “My music teachers and the Assistant Principal Religious Education at the time inspired me to be a music-religion teacher,” she said. Stephanie’s musical education and experience was so broad that she could have chosen any number of musical avenues to pursue. “There was definitely a time when I was undecided about what genre of music I wanted to focus on: music theatre, pop or Christian contemporary and liturgical music,” she said. “It didn’t take long however, for me to discover that the music that really sets my heart on fire is Christian music. Stephanie credits her family with helping to form the faith that underlies everything she does. “My faith is what has brought me through the tough times and what makes the good times more meaningful,” she said.